DeVille were more than stories; they were urban handbooks for hitting on girls up the street and pulling a knife on their boyfriends down the block. 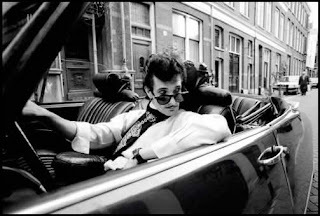 More Latin and crooner influence than nihilistic Bowery in the music, Mink DeVille and later on, Willy's solo work carried that elusive lover's edge that gave his pining lyrics the believability to convince your heart to do, what common sense refused to. Ace Frehley was a better lead guitarist drunk than most players are straight and his solo albums are clean urine samples compared to the tainted piss the other member of Kiss have put out. Starting with the Ace Frehley solo album and into the Frehley's Comet days, Ace has put out a string of records that may not walk a straight line, but always have a few choice tracks. "Rip It Out", "New York Groove", "Into The Night" and "Insane" are all solid singles that were either created or arranged by Ace (Russ Ballard was responsible for writing "New York Groove" and "Into the Night") and that stand on their own without needing lunch boxes or make up to command your attention. 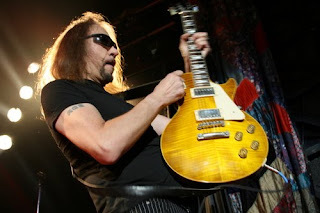 On September 15th Ace Frehley's new solo album Anomaly hits the street with Anton Fig (from the Letterman show) on the drums backing some very strong guitar based songs. Check the new song "Outer Space" out and see for yourself. The truth is, Ace was the only guy in Kiss that really needed to wear the makeup, yet he has been the most successful member of the band without it. Check Out The New Commercial For Anomaly. Hang Tight For More Posts Coming Soon And The Debut Of The 4 Minutes Of Fame PODCAST!